Take a bow Liquid, and bask on the praise, as you have proven you are the world’s best team with a dominant, come-from-the-lower-bracket run to lift the highly coveted Aegis of Champions in the International 2017. It was not that surprising that Liquid, the hottest team entering TI7, eventually won the whole thing but the team’s rollercoaster ride from the group stage to the main event was awe-inspiring, and their performance in the grand finals: wow. 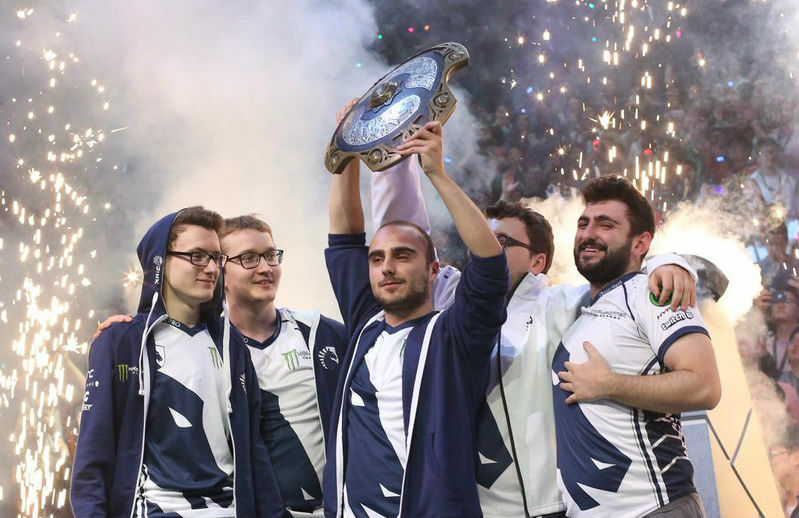 Liquid survived five rounds of elimination, then mustered enough class and style to become the first lower bracket team to win the Aegis, and make the first finals sweep in not just TI history, but also Valve-sponsored events. With the Shield, diamond encrusted rings, and close to $11million as prize, Liquid caps off its unexpected successful season. Many expected the team to be tough, as it features star midlaner Amer “Miracle-“ Al-Barqawi and noted strategist and support player Kuro “Kuroky” Takhasomi, but only a few believed the pair can make things happen with carry Lasse “MATUMBAMAN” Urpalainen, roamer Maroun “GH” Merhej and offlaner Ivan “MinD_ContRoL” Ivanov. Liquid entered TI7 as an invitee, earning the envelope on the back of winning five big tournaments including StarLadder, Dream League and EPICENTER. The team cruised to a 13-3 record in the group stage and earned a spot in the upper bracket, but choked hard against Invictus Gaming and questions were asked if the players were not as good as their past tournaments show them to be. Against Secret in the LB 2nd round, Liquid realized its full potential in a typical manner: they realized how strong they were when they were about to be eliminated. Suddenly, Miracle was winning his midlane battles, GH’s timing on his rotations were on point and Kuroky’s stratagems gave them an advantage to win despite losing the laning phases. In the LB3rd round, Liquid were up against Team Empire, which stunned the world by scalping off Evil Geniuses in the previous round. But Liquid was on its most solid state, and Empire became just another hindrance Liquid kicked out. Virtus.Pro was a worthy combatant, as Liquid needed 103 minutes and Mind Control’s mucho cajones on his Nature’s Prophet to solely take care of pushing to win Game 1 of their LB 4th round match. Liquid bowed down to VP in Game 2, but that’s because it’s really hard to beat VP midlaner No[o]ne’s Viper. Miracle- did Miracle- things on his Anti-Mage in Game 3, and Liquid walked on to face LGD in LB 5th round. LGD failed to challenge Liquid, who swept the series 2-0 and went on to face LFY, arguably the best prepared team in TI7. But again, Kuroky’s tactics allow them to win from losing, and using Venomancer and Nature’s Prophet in Games 2 and 3 allowed Liquid to frustrate LFY in the LB Finals and meet NewBee, which by then was the favorite to win TI7. In Game 1 of the Grand Finals, NewBee did not ban MinD_ContRoL’s Nature’s Prophet and almost instantly regretted it. The Prophet’s Teleportation allowed Liquid to kill on every gank opportunity, and his Treants caused so much building damage the Chinese giants threw in the towel in less than 28 minutes, when Liquid has taken the Tier Three towers on the side lanes and were threatening to clean NewBee’s base. NewBee respect-banned MinD_ContRoL’s NP from then on, but now failed to ban the heroes of GH, whose Earthshaker performance in Games 2 and 3 were instrumental in turning fights around with his Echo Slam and Fissure. In a crucial clash in Game 3, GH saved Miracle- in a clash near Roshan’s Pit, allowing the midlaner’s Juggernaut to activate his Black King Bar and let the Omnislash rip NewBee to pieces. With the Aegis in tow and NewBee buybacks on cooldown, Liquid forced the Chinese giants to wave the white flag and become the first lower bracket finalists to defeat the upper bracket finalists in the ultimate stage.